For the first time in history, the pope of the Roman Catholic Church visited a country in the Middle East, particularly the United Arab Emirates (UAE). For this reason, thousands of people wanted to attend the historic mass at Zayed Sports City. What’s great is that tickets to the papal mass were given out for free at parishes and churches across the UAE. As the day of the papal mass drew near, thousands of people flocked to the churches to ask for tickets, in hopes that they could attend the mass and see the pope in person. One of these hopefuls is Bernice Soroosh, a devout Catholic who is actually married to a Muslic guy she met at work some 4 years ago. Yousef Soroosh, an Emirati, fully supported his wife’s wish to see the pope and attend the mass, despite the fact that he is a Muslim. It turned out that these two have long come to terms with their differences in culture and religion, allowing them to live in harmony despite their different faith practices and beliefs. So, after hearing that the pope would celebrate mass in the UAE, Yousef offered to drive his wife to her parish to obtain a ticket. “I told my husband that I would like to attend the papal mass and he offered to drive me to St. Mary’s Church to get a ticket. I was really touched by his offer. 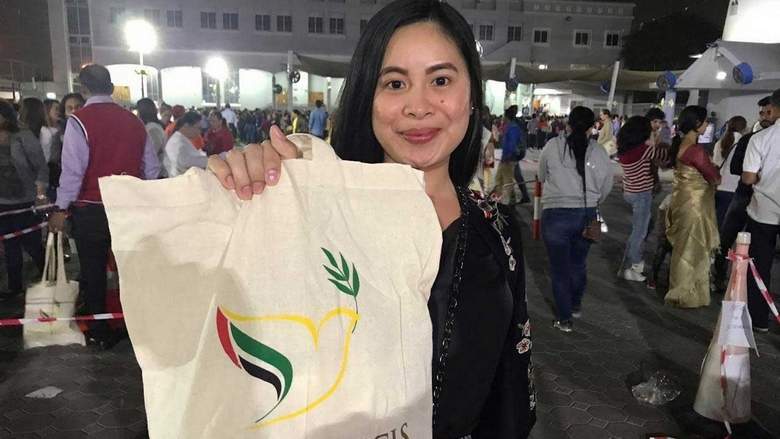 This Papal visit has proven that people, even a married couple like us, who come from different religious backgrounds and cultures, can arrive at a common ground,” Bernice revealed. So, while Bernice lined up for hours for a chance of getting a ticket to the papal mass, Yousef patiently waited at the parking lot. Unfortunately, Bernice was not able to obtain a ticket, but she still feels happy for those who were able to get one. She planned to just watch the live feed of the papal mass.